The American Tax Foundation predicts Congressional tax reform plans would grow wages, add jobs, and increase GDP. The foundation’s projections are based on its own taxes and growth model, which estimates the Senate plan will grow wages by 2.9 percent, add 925,000 full-time jobs and generate an additional $1.26 trillion in additional revenue over the next decade. The House tax plan would result in slightly more economic growth, according to the American Tax Foundation analysis model. The foundation estimates GDP would grow by 3.9 percent above what it would have done otherwise under the House tax plan. Wages would grow by 3.1 percent more, and the plan would stimulate 975,000 new jobs. Most members of Kansas’ all-Republican Congressional delegation have voiced support for federal tax reform. 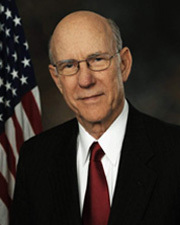 Sen. Pat Roberts said there is widespread bipartisan agreement on the need for tax reform. “We ought to put aside partisan obstructionism and take action on something in which a majority of Americans agree,” Roberts said. 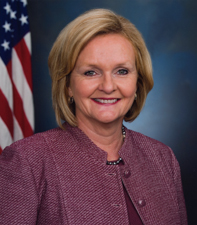 Missouri Democratic Sen. Claire McCaskill told NBC’s “Meet the Press” a month ago that she was willing to work with Republicans on tax reform. “I certainly support lowering the corporate tax rate so we’re globally competitive. I could live with somewhere in the low 20s,” she said in mid-October before legislation was introduced. However, she appears to be a solid “no” on the legislation today, according to the St. Louis-Dispatch. The plans significantly reduce corporate tax rates. 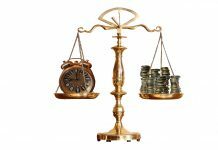 Both the Senate and House plan increase the standard deduction. The Senate tax plan increases the standard deduction for individual filers from $6,500 to $12,000 and from $13,000 to $24,000 for joint filers while eliminating some personal exemptions. 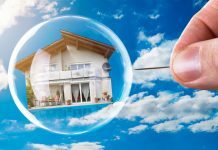 The Senate bill maintains the charitable contribution deduction and the mortgage interest deduction for new purchases, however the mortgage interest deduction is scrapped for home equity debt. The child tax credit is increased from $1,000 to $1,650. The Senate’s legislation also eliminates the state and local tax deduction, or SALT. The American Tax Foundation estimates the average family’s after-tax income will increase by 4.4 percent over the next 10 years under the Senate plan. That translates into an additional $2,598 more. The organization’s analysis also breaks down anticipated growth in individual states. 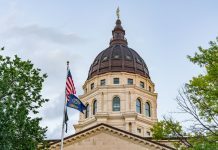 It predicts Kansas will add 9,019 new jobs under the Senate plan, and Kansas families will see their average after-tax incomes increase by $2,500. Missouri would add 18,183 new jobs, and Show-Me State families would have an additional $2,421 after taxes each year by the end of the decade.